New Delhi: They call themselves Dharavi Rocks. 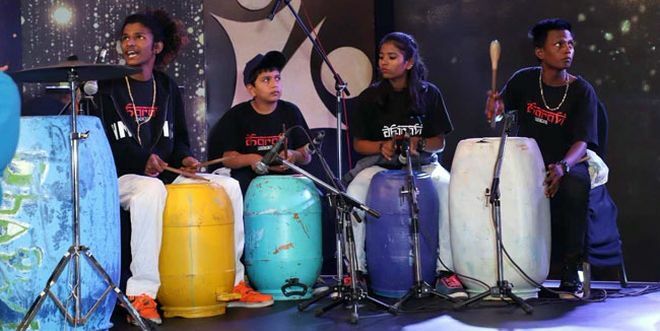 A group of underprivileged children from Mumbai’s Dharavi, the third largest slum in the world, make music from waste materials to spread the message of reuse, recycle and waste management. The USP of this music band is in the instruments used, which are all made from recycle plastic, buckets, tin covers, soft cans, water drums and so on. The band members collect the trash material, as some of them work as waste collectors. The coming alive of this band in a small room near the Dharavi pipeline is an incredible story of hope and inspiration. So far this junk band has worked with singers like Shankar Mahadevan, Sunita Rao, Apache Indian and other noted musicians, and performed at various festivals. Their story may not be as big a success story as “Slumdog Millionaire”, a movie that was shot in these settings and many of the band members had watched the shoots. 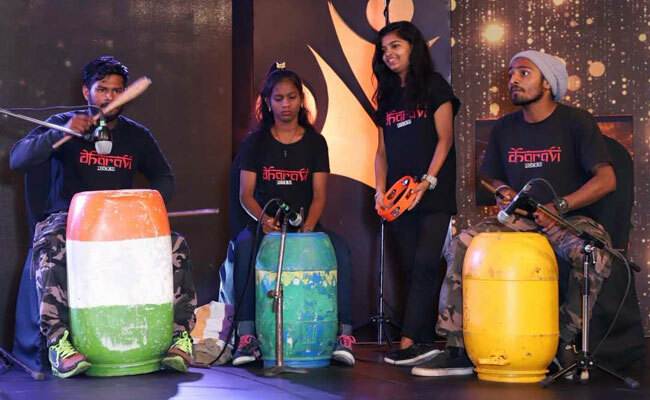 But Dharavi Rocks today has made a name for itself when it comes to beat-boxing, street dancing, rapping and drumming, and are working as ambassadors of recycling, reusing and better waste management. The band is actually a part of the Dharavi Project in Mumbai, an initiative of NGO ACORN Foundation (India). The project aims to improve the living conditions of over 100,000 waste collectors, who collect trash from beaches, railway platforms, public places and segregate waste in and around the landfills of Mumbai, and give their profession a legitimate and sustainable voice in the waste-management value chain. 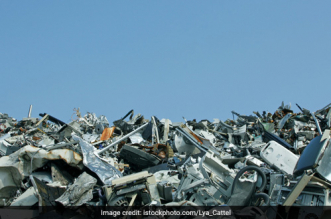 Nearly 40 percent of those in the waste business are children and women. We do not want to support child labour but realise that this sector needs alternatives like music, said Vinod Shetty, Director, ACORN Foundation (India) and an advocate, who has been working on communal harmony, environmental protection and human rights for a number of years. According to Vinod Shetty, Mumbai’s rag-pickers pick up tonnes of garbage. “For this work they are not paid by the city, which does not even recognise them as a workforce, and there are no labour laws to protect them. These thousands of children and women earn a living by selling the dry waste to scrap dealers, and most of the waste collectors make barely Rs. 75-100 a day,” he said. When Mr Shetty decided to work for the betterment of the waste collector community, he brought in educational and recreational element into their lives by forming ‘Dharavi Rocks’. The idea to venture into music was triggered when ACORN partnered with blueFROG in 2008 to launch workshops for the children. 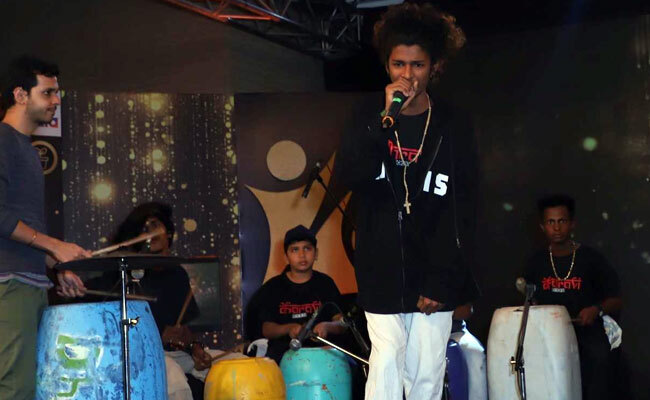 Since then, the NGO have organised many music workshops and performances with Indian and foreign musicians. The kids were taught simple songs and basic beats clubbed with group dancing. Later, several well-known Indian musicians who liked Mr Shetty’s idea of creating Dharavi Rocks volunteered and trained the children while visiting artists further gave the band a level of professionalism. Now, children make music out of the very junk that they collect, thus creating awareness among people about recycling, reusing and better waste management across the country. From the last six months, the members are getting trained under the watchful eyes of Harsh Karangale, a professional drummer. Notably, ever since the inception of Dharavi Rocks, Mr Shetty is of the view that the band should have a `floating team’. As the members get older, they take up jobs and eventually, quit, making way for the younger talent to be recruited. About 20-25 children in the age group of 8 to 18 have always been part of the band. Band members and other children finish their daily chores of collecting garbage or other work, and get together to make music that is not just fun and upbeat but also sensitises people about the utility of waste materials. According to Mr Shetty, these children now have tremendous self-esteem and confidence, and their musical talent is being appreciated by listeners across the country.